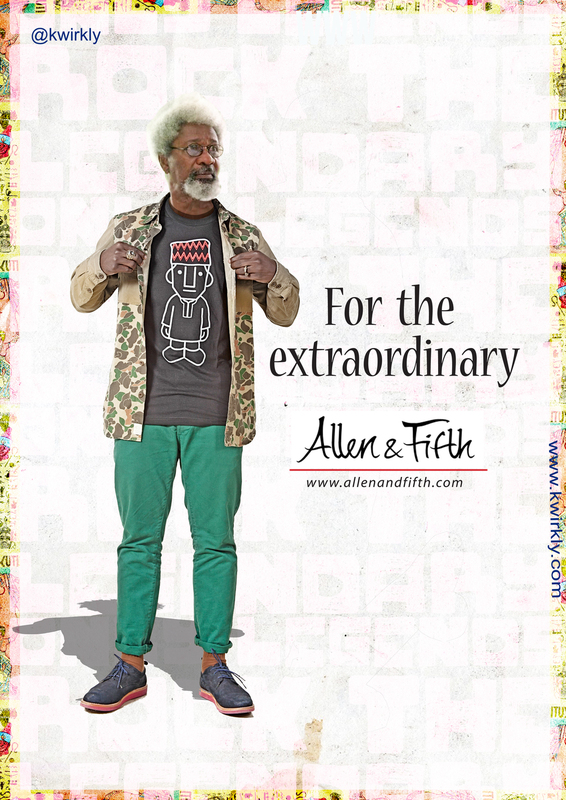 This is an unpublished campaign we did for a New York-based Nigerian tee-shirt brand – Allen&Fifth. And this was about 3 years ago. We were very excited about the campaign and couldn't wait to get the necessary approvals for the icons but the campaign never scaled through. But we dug into the archive, as it's the month to celebrate the birthday of the of Nigeria’s national icons the Nobel Prize Winner - Wole Soyinka. We had only earlier shared the one with Wole Soyinka via our Facebook page and, to our surprise, we got messages from people who were curious to see other expressions of the campaign. Hence, the new set with Nnamdi Azikwe and Fela. They remain unpublished by the clients. 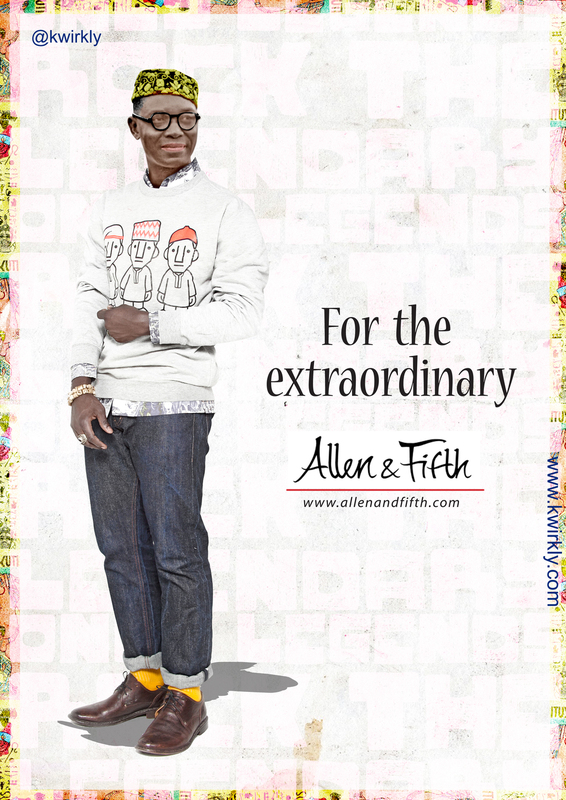 The campaign was intended for both traditional and digital expressions. The response has been massive as many people shared them across social media. Quite interesting for a campaign that wasn't approved.